Today was all about Dock House, we had the usual Breakfast Club with much the same faces as I’ve already seen there this week, then we had to set about doing many other jobs. Some of the jobs were the usual jobs like cleaning up the kitchen and washing the pots from the Breakfast Club, however there were also other jobs that needed doing which made it a very full-on day. After we had washed up, cleaned, wiped down, swept and mopped we had to start upstairs as Michele’s office had to be re-arranged in her absence and then a filing cabinet had to be moved from the Outreach Team office to her’s. Then we had to remove dozens of Pot Noodle’s from the Outreach Team office down to the kitchen because they need to be used sooner rather than later. After that we had to take a few chairs out of a downstairs store room and put them out the back of the building because they are useless anyway and we needed to create room in there. Then we had the devil of a job of moving a filing cabinet from, you guessed it, the Outreach Team office, to the downstairs store room. The problem with moving the filing cabinet downstairs is that you have to get it round two very tight corners on the way down, Dave was helping as ever, so was Diane who is one of the Outreach Team, Ash was trying to help carry it down but on such a narrow staircase it was impossible for him to get close enough. Eventually we made it down the stairs and dragged the cabinet to the store room. During the clear out in the Outreach Team office Diane found some old photos of Dock House. One of the photos shows it in its original guise before it became a shelter, others show bunk-beds in the rooms and one photo we think shows possibly an outreach worker maybe in an old derelict building looking for rough sleepers to help. During the course of the day we’ve also found some information about the history of Hull Harp. Hull Homeless and Rootless Project was born on the streets of Hull in 1982 offering soup and bread, information and advice, the soup was organised by the Sisters of Mercy from Endsleigh Convent, in response to the growing number of rough sleepers in Hull. In 1984 a building was obtained which offered limited day facilities like professional information and advice, access to other professional agencies, meals, washing/bathing and laundry service from 1pm to 6.30pm. After the death of a rough sleeper in 1988 a local company donated a portable cabin to the project for people to shelter in at night and four years later a direct access night shelter was opened with 10 beds in five rooms, services available then were basic support, meals, clothing and an information and advice service. The night shelter was opened from 10 o clock at night until 8 o clock in the morning and service users were offered a light supper, TV, washing/bathing, laundry services and breakfast, the day centre also continued to operate. Due to different medical needs of service users in 1995 Hull Harp strengthened working relationships with various professional agencies like the Community Mental Health Team, Alcohol Advisory Service, Council for Drug Problems, Social Services, Youth Services and Health Services, all of which used a Service User Counselling/Interview room. There was also a close relationship with Probation and the Police. Then in 1997 the Night Shelter was extended thanks to a £250,000 investment to provide 19 beds each night for both men and women, three years after this provision was extended to make Hull Harp a 365 day, 24 hour facility. Hull Harp experienced some changes and difficulties with funding. Staff training was given, clearer policies and a more focused provision of staff resource were created to help service users gain access to a wide range of services and for Hull Harp to extend their overall services. The implementation of Supporting People strategy changed how Hull Harp recorded information and now showed the cost effectiveness. Services at this time now included the Day Centre services and leisure activities (discussions around drug misuse, harm minimisation, basics in numeracy and literacy, living skills, physical and mental health services, leisure activities and art classes), furniture service, food parcels, outreach support and a system for volunteering. Bed space was increased to 21 beds in 2002 and services included Night Shelter, Day Centre, Free Lunch, a small evening meal, food parcels, activities, laundry facilities, bathing facilities, mental health support, support and advice, a volunteer program, access to other professional agencies, alcohol and substance misuse and drug awareness information and advice. Hull Harp also introduced a policy on Dogs at the project using the National Canine Defence League guidelines for hostels. In 2003 Hull Harp appointed a new Chief Officer and the Management Committee (Trustees) reorganised. The services remained the same and Supporting People Funding began. Hull Harp restructured in 2005 to provide 24 hour service to Service Users. New staff were appointed and trained to deliver the 24/7 Service User support services. Two Resettlement Worker posts provide one-to-one key working, Administration Assistant, Domestic and Caretaker posts all provide the essential operational support to ensure that the project runs smoothly and that the environment is clean and safe. Hull Harp then received Supporting People Certificate of Accreditation in 2006 and, a year later, secured a three year Supporting People contract to run from April 2007 to March 2010. A new Chief Officer was appointed with a remit to prepare the organisation for the Supporting People tendering process that would award future contracts. 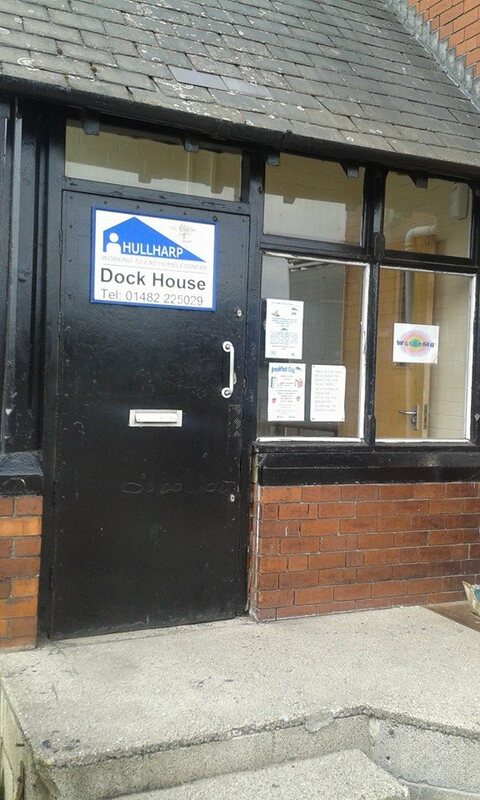 Hull Harp launched an Outreach Service and a Rough Sleeper Outreach Worker was appointed to establish contact with those sleeping rough and to engage them with appropriate services at Hull Harp or elsewhere. Hull Homeless and Rootless Project ceased to exist and the new entity called HULLHARP began in April 2009 and is now a charity Limited by Guarantee. It has a three person management team.